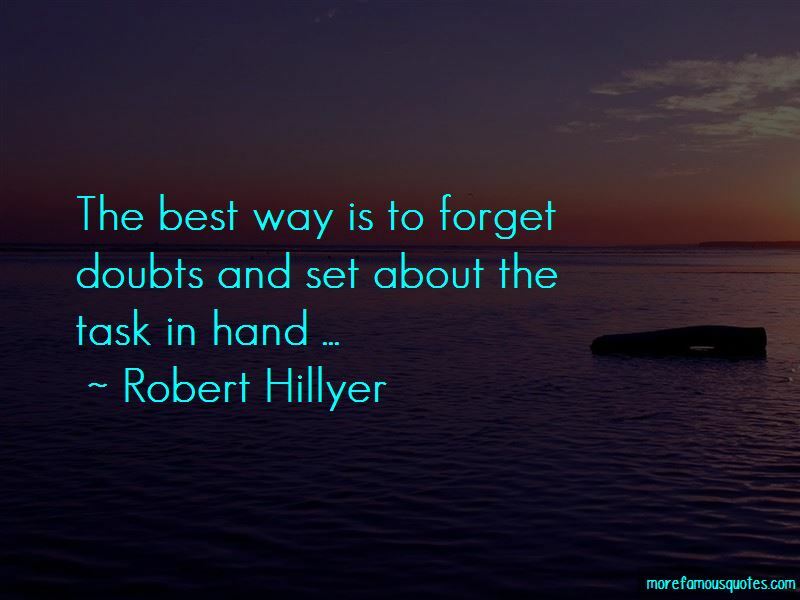 Enjoy the top 2 famous quotes, sayings and quotations by Robert Hillyer. 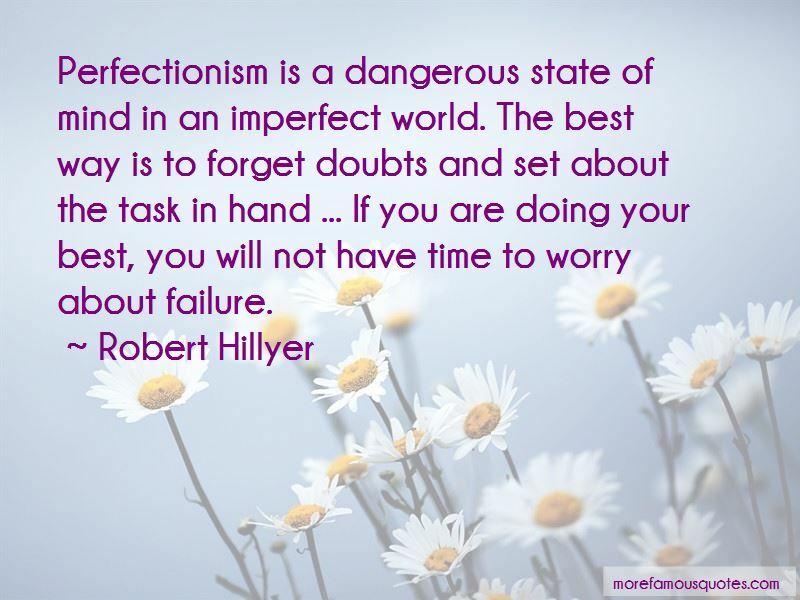 Perfectionism is a dangerous state of mind in an imperfect world. The best way is to forget doubts and set about the task in hand ... If you are doing your best, you will not have time to worry about failure. Want to see more pictures of Robert Hillyer quotes? Click on image of Robert Hillyer quotes to view full size.